Music Festival season has started in Florida, Georgia and Alabama. The kick of starts in March and goes through November, for the most part. 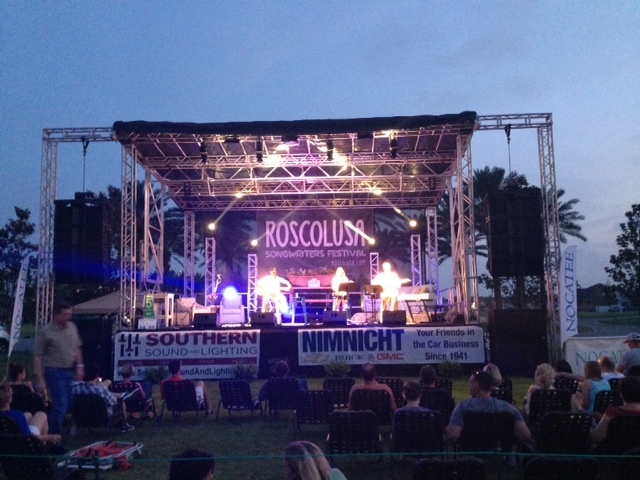 Southern Sound and Lighting would love to be part of your music festival or entertainment event. 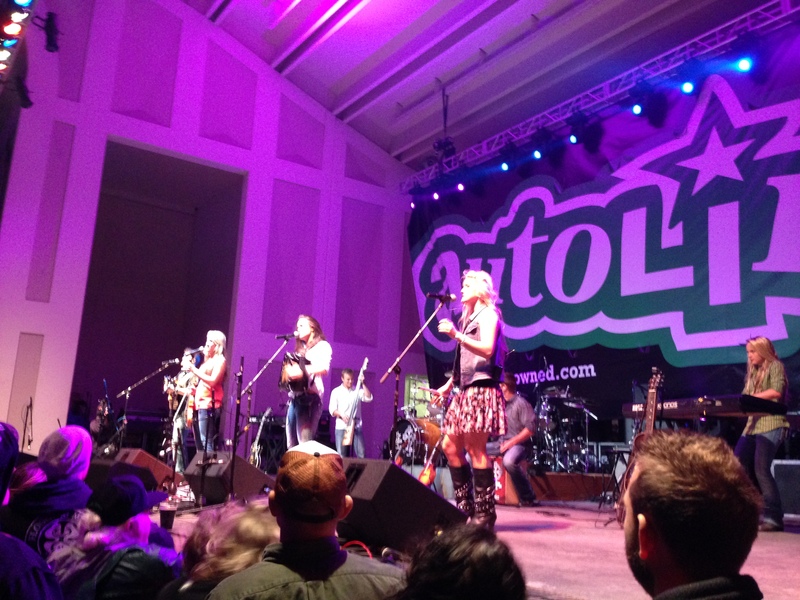 The South is known for great weather and that is why sponsors, promoters, music artists and concert patrons flock to the South for great live music events. 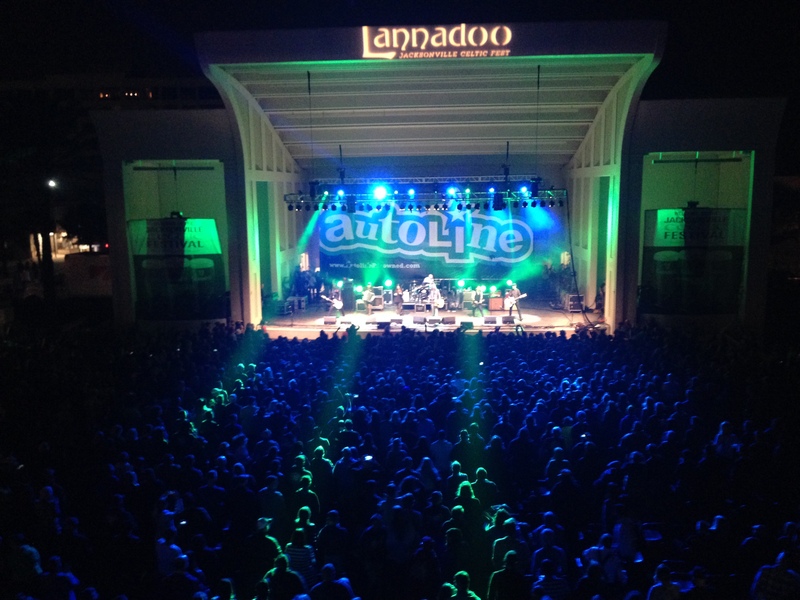 The staff at Southern Sound and Lighting has participated in thousands of concerts and events all over the country and their industry knowledge and experience can help you make event the best. Our audio engineers are some of the very best in the industry and our lighting directors, stage managers, and video directors are top notch. Their combined experience makes them an A team for your event. 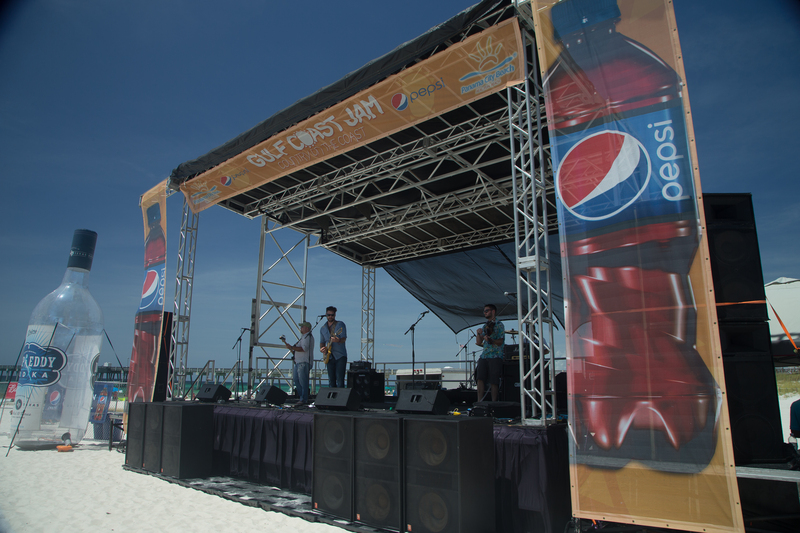 Southern Sound and Lighting has produced festivals on the beach, in fields, parking lots, metro downtowns, and in stadiums. We can build a stage, hang a line array, create a custom light package and build video walls anywhere! 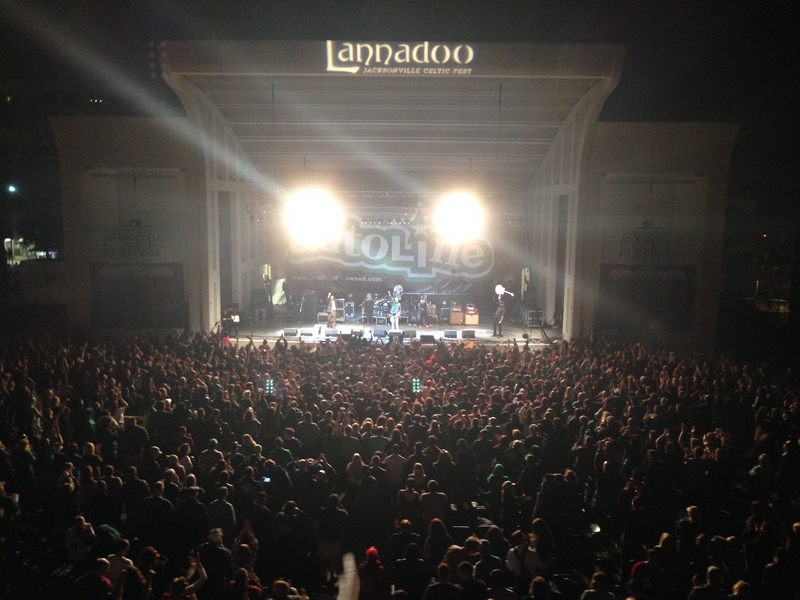 No matter what genre of music that your festival will be, we can help. 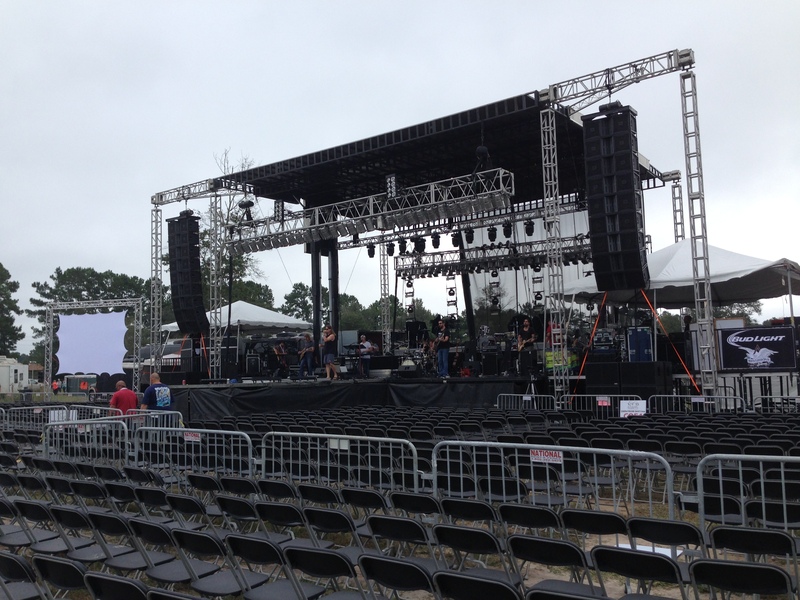 Southern Sound and Lighting is the production company for many country music festivals, rock events, Christian festivals, blues and Jazz. 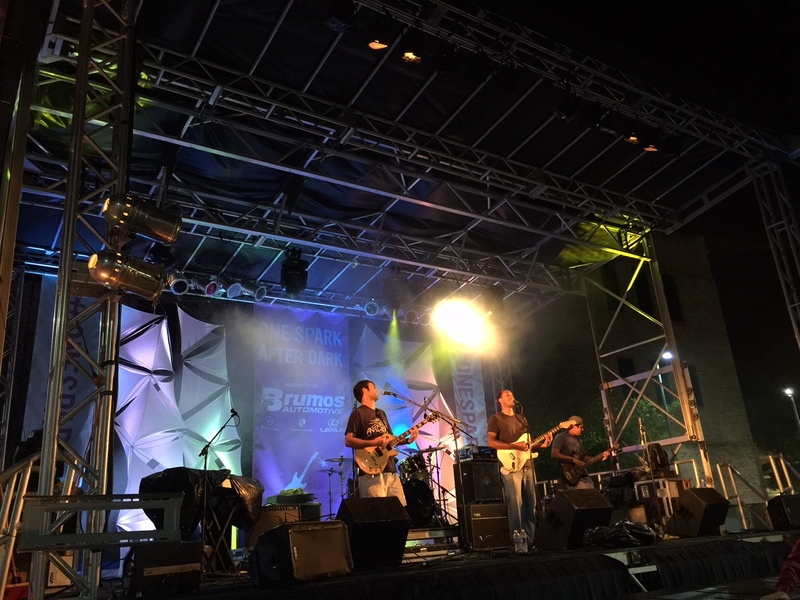 If you are looking for a turn-key production package, please give us a call at Southern Sound and Lighting and let us discuss your current needs and come up with a custom quote for your upcoming event! 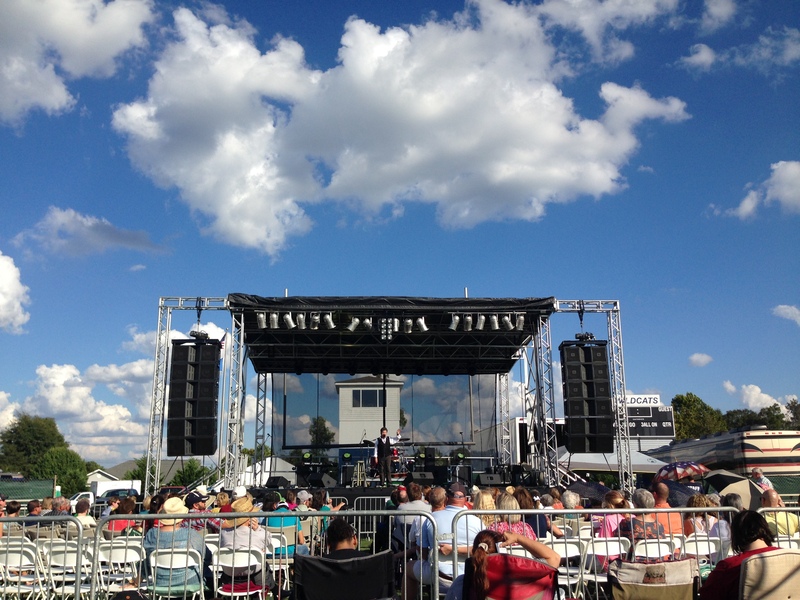 If you are a promoter, event coordinator or organization that is looking for a stage for your festival or event…give us a call! We will be happy to provide you a free quote. When you give us a call we will go over all aspects of your event with you and make a recommendation based on what your needs are. The staff at Southern Sound and Lighting have years of concert and festival experience and we can customize a concert/event package to fit your needs and your budget. 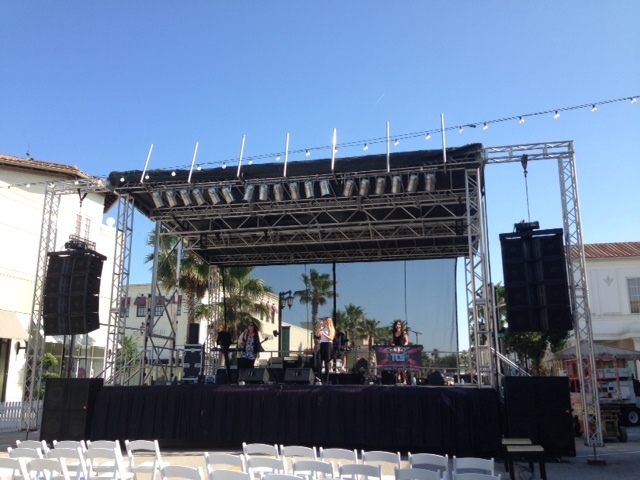 There are many stage options that we can offer, however, many events find that a mobile stage is right for them. 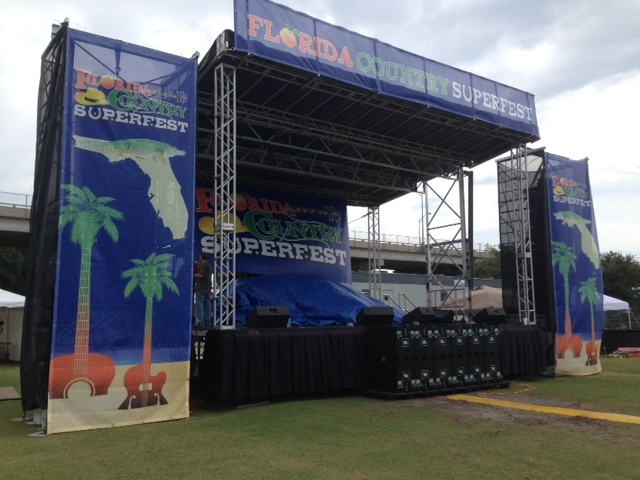 Southern Sound and Lighting offers two main sizes for a mobile stage; 32×24 and 40×40. Additional loading doc areas, cat walks, and monitor worlds can be built off of these mobile stages. 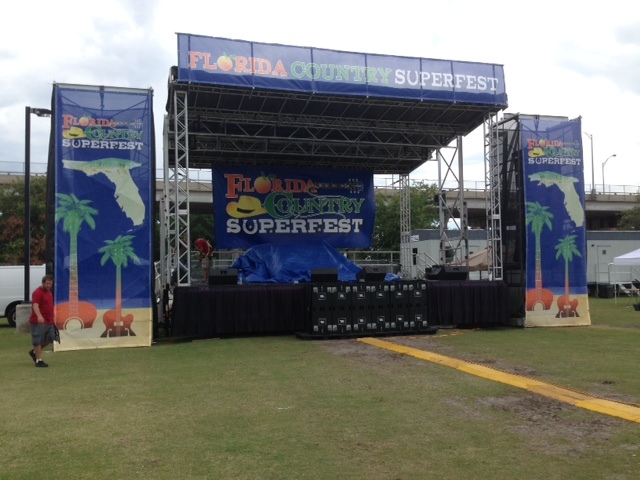 Other sizes of mobile stages are available too, just give us a call to discuss. If you need a concert or event stage and a mobile stage won’t do, we use Stage Right decks to build custom configurations. Our platforms are 4×4 or 4×8 and can be 12″ to 60″ inches in height. Most of our roofing systems are built using Thomas Truss. 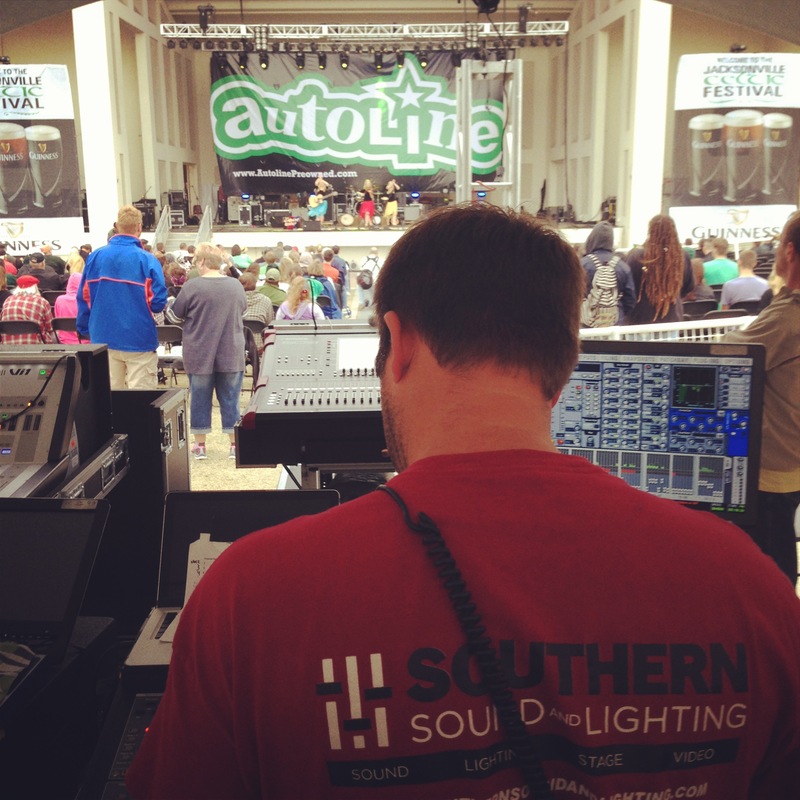 Southern Sound and Lighting also offers VIP stage decks – which is a great addition to a large festival. Beaches Oktoberfest knows how to celebrate German heritage with great music, food trucks, kids fun zone, a 5K run and so much more. 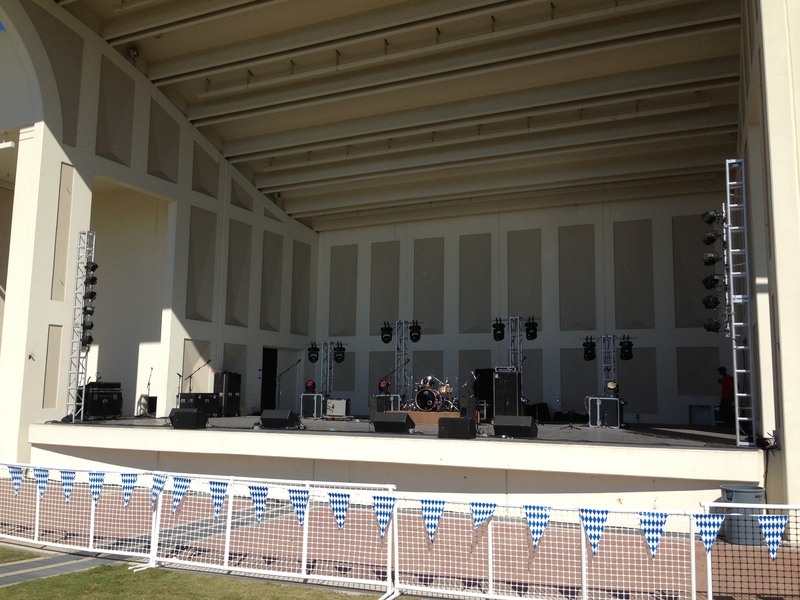 Located at the Sea Walk Pavilion in Jacksonville Beach, this event was packed with fun for everyone who attended. 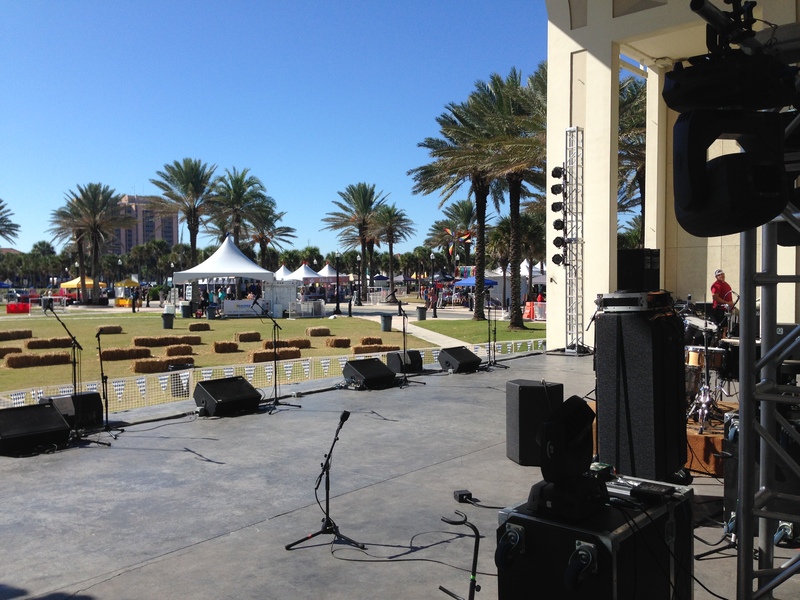 Beaches Oktoberfest is a FREE festival located in the heart of Jacksonville Beach. 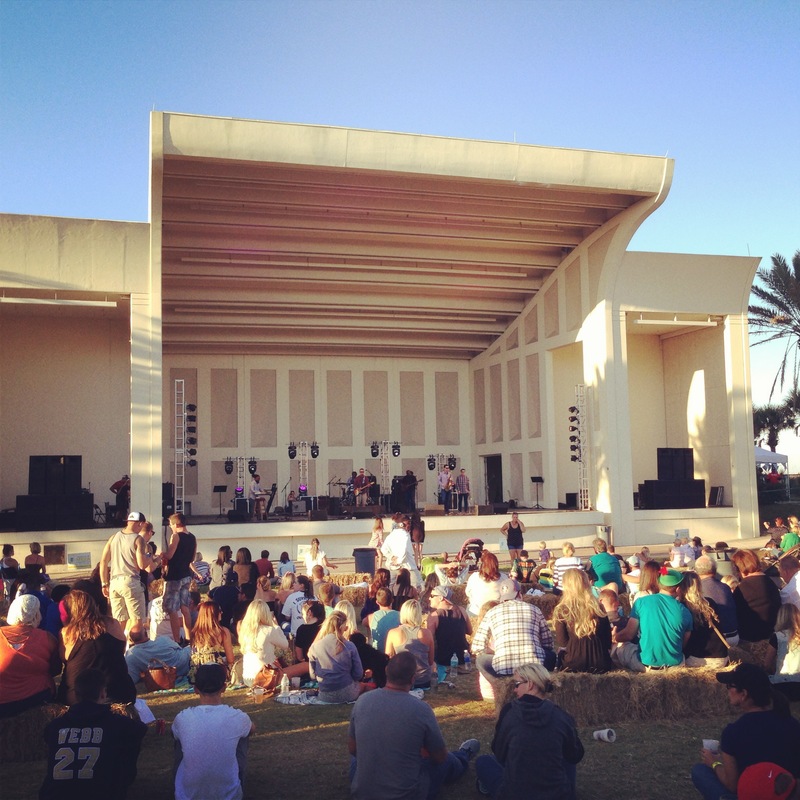 The Sea Walk Pavilion is between the business district of Jax Beach and the ocean…making it a perfect setting for any event and festival. This is a two day festival that is fun for all ages. Kids can enjoy a kids zone complete with inflatables, rock climbing and other games. Adults of course enjoy the many choices of beer. And patrons of all ages can enjoy the food trucks and food vendors that specialize in German food and other fair foods! 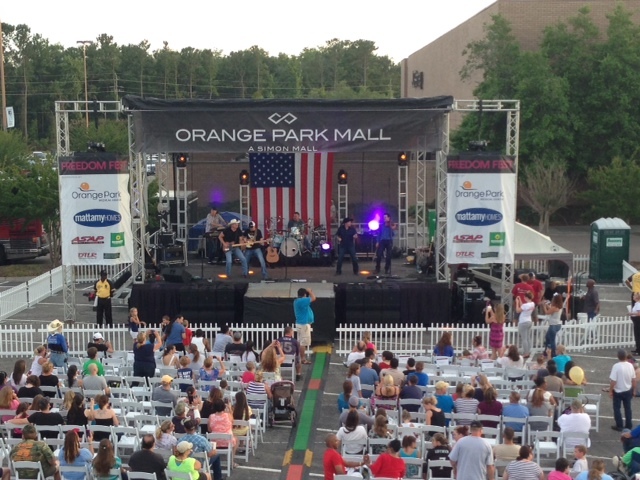 Southern Sound and Lighting provided sound and lighting for this event! 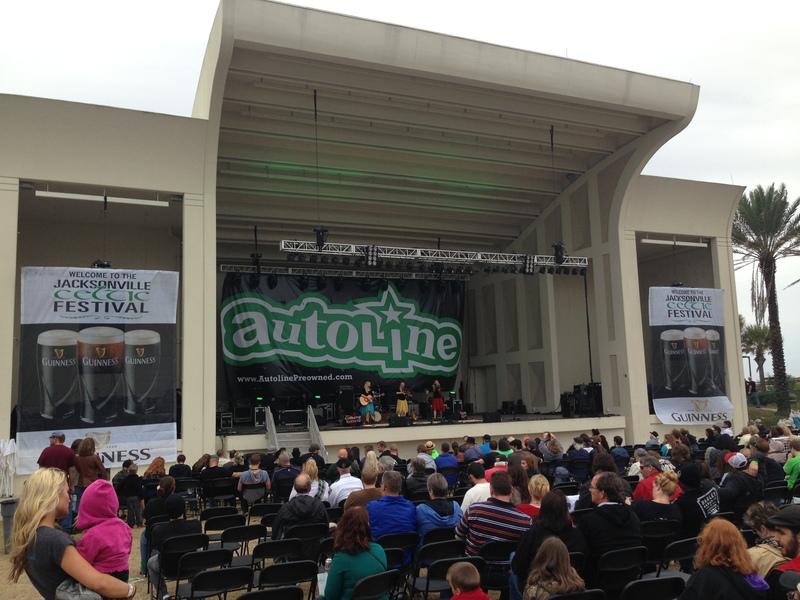 This mobile stage is the perfect size for most festivals, concerts and corporate events. 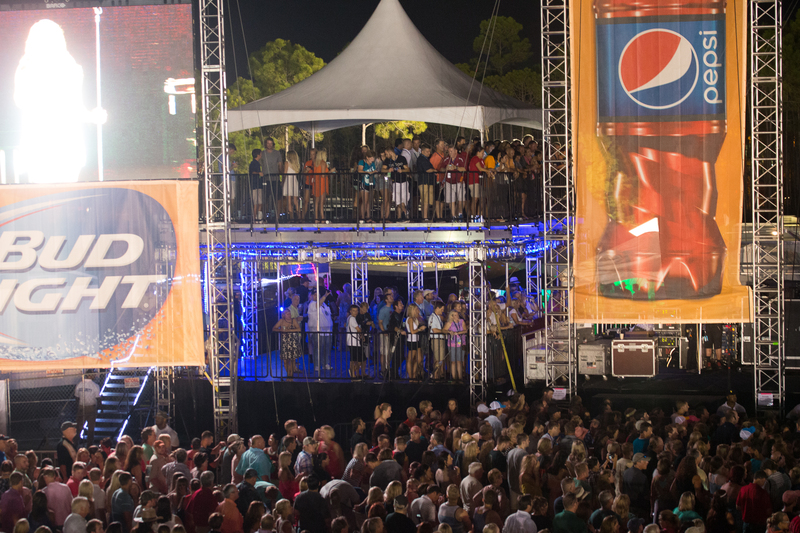 The flexibility of the stage allows you to fly or stack the PA, fly lights and hang multiple sponsorship banners. Banner options include; headers, stage, backdrop and over the PA fly bars. You can see different options below. 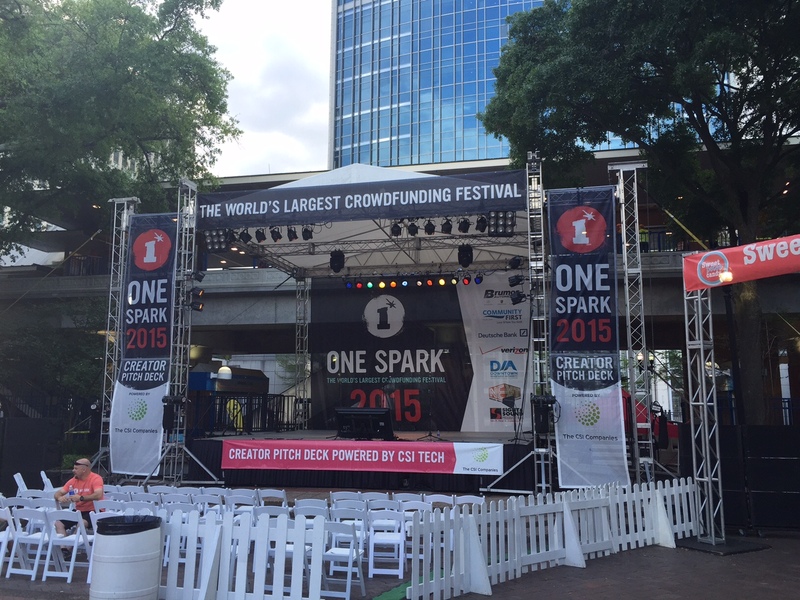 The mobile stage takes approximately two hours to put up and an hour and half to take down. The weight limits are; 2,000 pounds SL and SR for PA hang, 1,000 pounds center points upstage and downstage hang, 10,500 weight capacity on deck. The stage also comes with 1 8×8 drum riser, 2 sets of stairs, with additional options of; loading ramp, additional risers, catwalk, front of house platform, and loading dock. This stage is OSHA certified and carries certificates with it on all job sites. 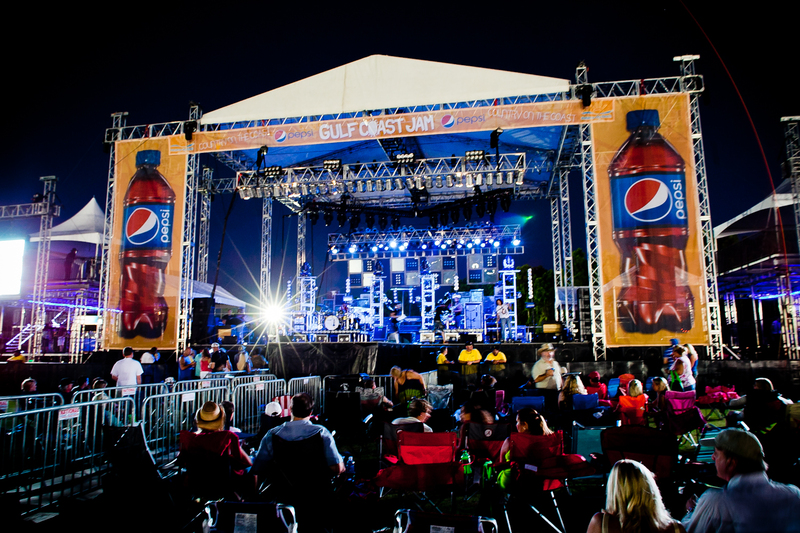 Rental of the stage includes; delivery, tech on site and to assist with set up and tear down. We will travel anywhere the stage is needed!